Android 7.1 Nougat is now official. The smaller version of the operating system Google is here for the new Google Pixel presented in San Francisco last night, during the event, where no precise details of the release dates were given, or anything in particular linked to Andromeda somehow, the great absent from all industry enthusiasts who waited for news. Android 7.1 is a minor update that will not change the cards placed on the table of Android, but risks to seem Pixel Launcher, the application launcher aboard Pixel smartphones, with all new graphical interface. In this sense, you can now see the graphical changes for icons, now circular, and the divisor to highlight the fixed apps, or increasing the virtual keys to go back, go home and access to multitasking. Moreover, a good part of yesterday's event was dedicated exclusively to the Pixel line and served to attract public attention to purchase its new smartphones. In addition to the specific functions of the camera of these phones, or said new design for icons and menus, which will be a little different from the other devices, will also feature Google Assistant, which will only be in the Pixel phones, at least initially. It is hoped that all smartphones that receive Android 7.1 will get support for Daydream VR and for Google virtual reality viewer. To this we must also add new commands through gestures (finger movements on the screen) and the ability to manually manage storage space. We can not forget the Google version of Night Shift, an optional night light for the display. Therefore, the real question is when, and if this update will come to other phones, as it depends on the individual manufacturers and how they want to keep their users updated. Google, meanwhile, has already made clear that Android 7.1 is aimed primarily at new models (high-end) starting with the Pixel and Pixel XL. 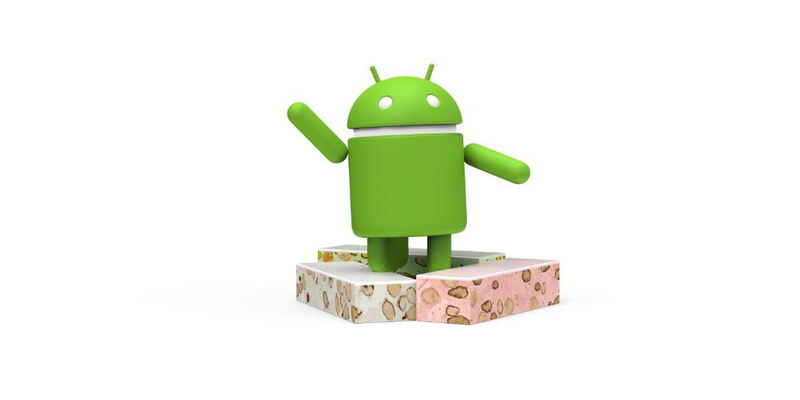 The update to Android 7.1 Nougat will reach Nexus 5X, Nexus 6P and Pixel C tablet by the end of 2016. There is still hope for the Nexus 6 and Nexus 9, but no official confirmation.